In response to questions about when the DNA samples will be taken, it is necessary to put the whole thing into context, as the situation develops. You get the breaking news on this site. The answer is, 'perhaps after a month or two" because the relevant person from Bradford University will be turning up in a month's time to make an assesment. A date for the results can not be given yet. The next question is about whether or not it will actually happen, because it is not absolutely definite. It is all connected with the presence of artist Cornelia Parker, pictured above, who is also doing some preliminary research at the Parsonage in preparation for an exhibition which will open on 16 September this year and which as yet has only a provisional title - Cornelia Parker at the BrontÃ« Parsonage Museum. 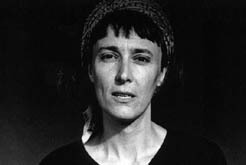 She was nominated for the 1999 Turner Prize and is widely exhibited worldwide. One of her themes is "relics" and she has stated that she is interested in the relationships between fiction, reality and fame. She has a particular interest in the BrontÃ«s. In the last three years, she has had solo exhibitions at Galleria d'Arte Moderna e Contemporanea, Turin, Italy, ICA, Philadelphia, Pennsylvania, Aspen Museum of Art, Colorado, Chicago Arts Club and the ICA, Boston. Recent group exhibitions include Days Like These at Tate Britain. Some of her installations can currently be viewed at Norwich Castle Museum and the Victoria and Albert Museum in London. Her work is represented in many international collections including The Arts Council of England, Tate Gallery, London and the Museum of Modern Art, New York. More on Cornelia Parker soon. Brontë Society Council gave the go-ahead for the DNA sampling at a meeting on Saturday. Here's some more information: the Parsonage has a relatively large quantity of hair, according to Director Alan Bentley, some of it of doubtful provenance. Some is genuine, some probably not. Hair samples are connected to most of the family, with the exceptions of Emily and the young Elizabeth. Some of it was obtained through Ellen Nussey. Apparently it is possible to find out about the time of the year, diet and pregnancy from a couple of hairs, and also about the presence of toxins. It's got it all. The brooding complicated hero with a secret, the forthright, intelligent heroine, compelling atmosphere, brilliant writing, the complicated and romantic meeting of two minds and hearts - and the mad woman in the attic. Charlotte's 158 year-old yet timeless Victorian novel continues to speak to our hearts. A waft of wind came sweeping down the laurel-walk, and trembled through the boughs of the chestnut: it wandered away - away - to an indefinite distance - it died. The nightingale's song was then the only voice of the hour: in listening to it, I again wept. Mr. Rochester sat quiet, looking at me gently and seriously. Some time passed before he spoke: he at last said: "Come to my side, Jane, and let us explain and understand one another." 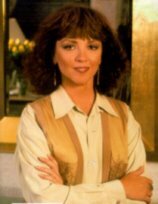 NB Nora Roberts is a publishing phenomenon, especially in the USA, with over 75 million copies of her books in print. Her work has been optioned and made into films, excerpted in national magazines and translated in over twenty-five different countries. She currently has over 130 published novels to her credit with more to come. 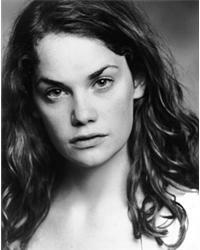 Our congratulations to Ruth Wilson, fresh out of LAMDA, who will be Jane Eyre in a new BBC TV production directed by Susanna White. Shooting begins in a few weeks. To date, Rochester is uncast. Rumour has it that Angelina Jolie and Johnny Depp have been lined up to play Cathy and Heathcliff in a new movie version of Wuthering Heights. Explore the fascinating home of the BrontÃ« family. Walk through their home in your own home! This expertly prepared computer program will run on on most PCs. The Museum shop sells a wide range of books, gifts and other material about the BrontÃ«s and these are now available to purchase online or by mail order. For mail order enquiries simply use the shopping basket as normal. You will then be given the choice to either order online via a secure connection or print out the completed order form.